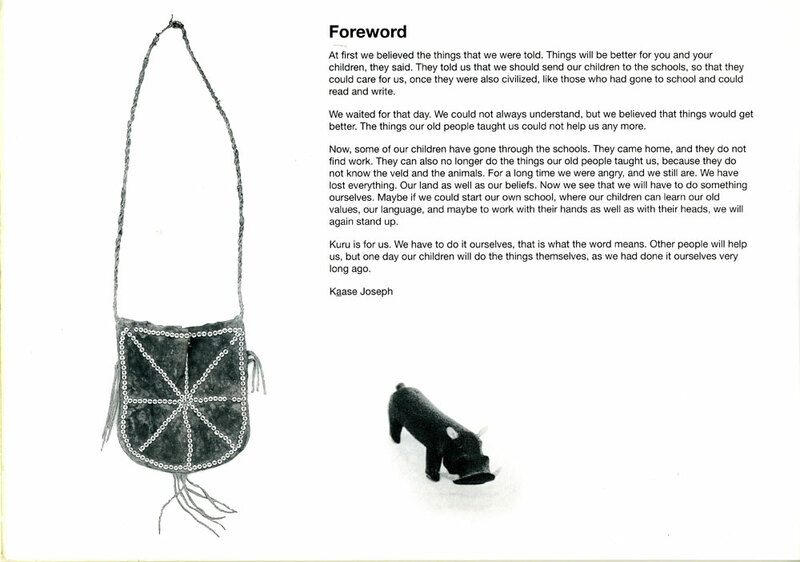 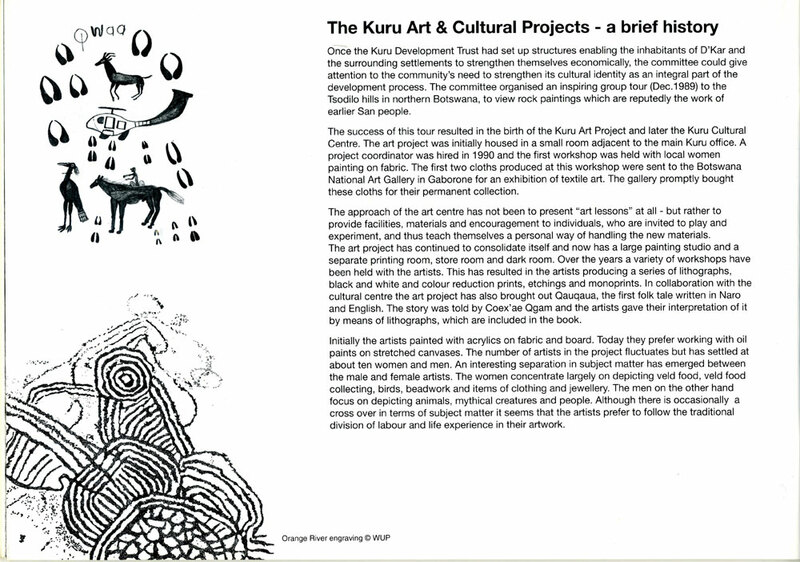 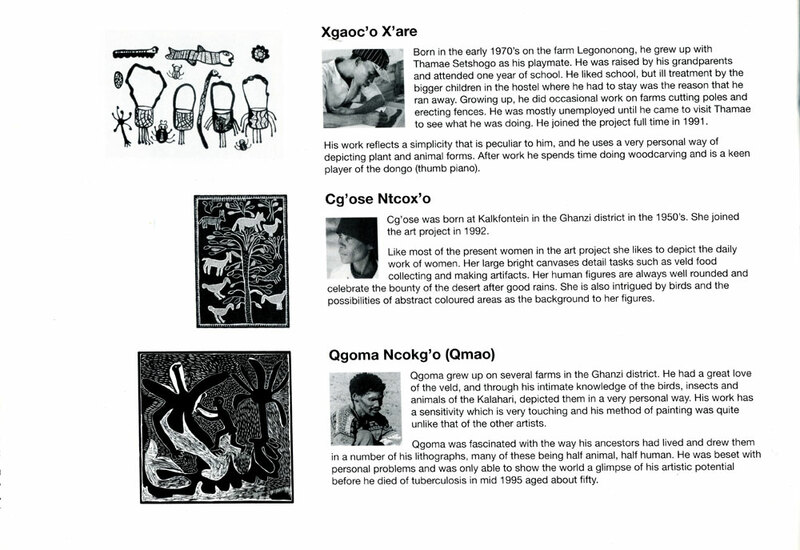 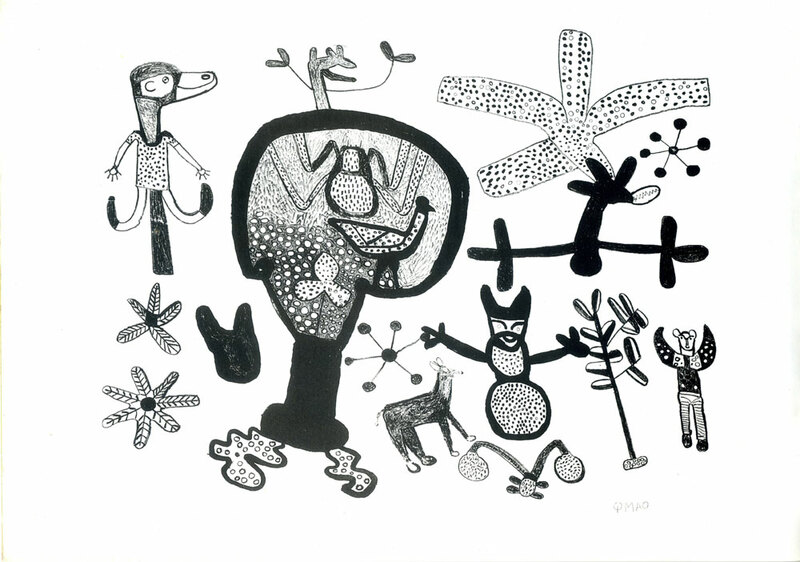 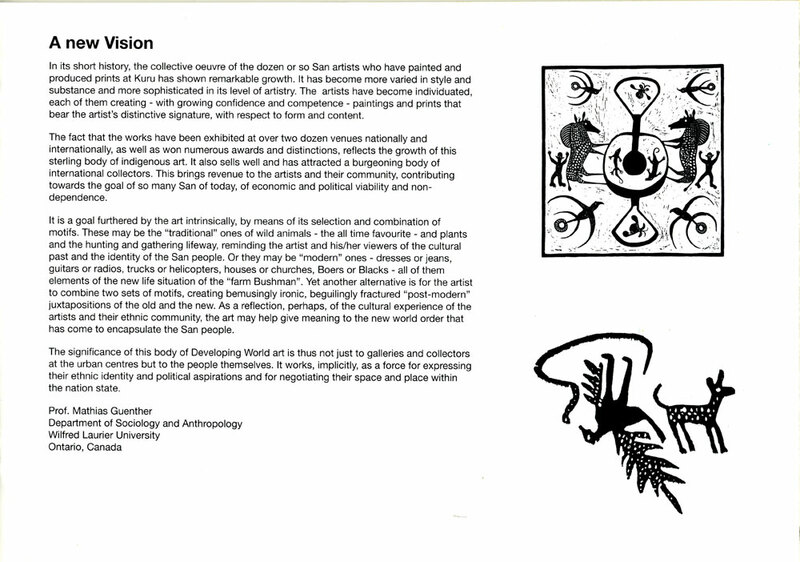 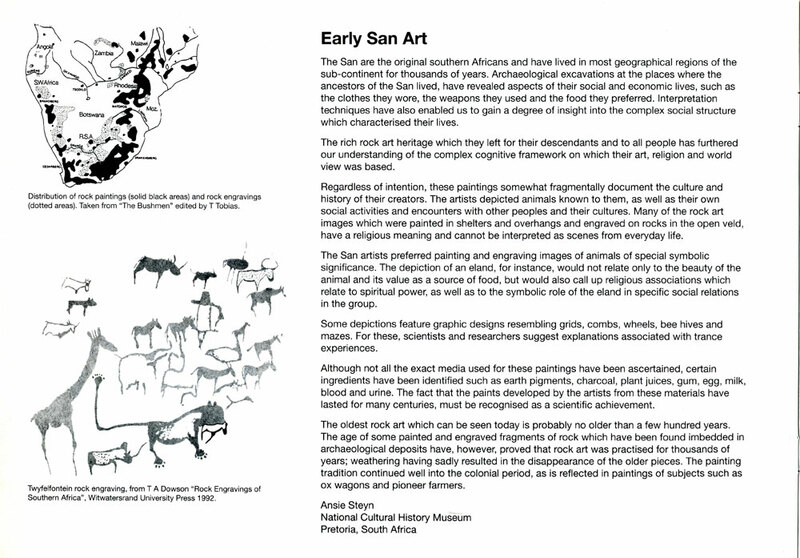 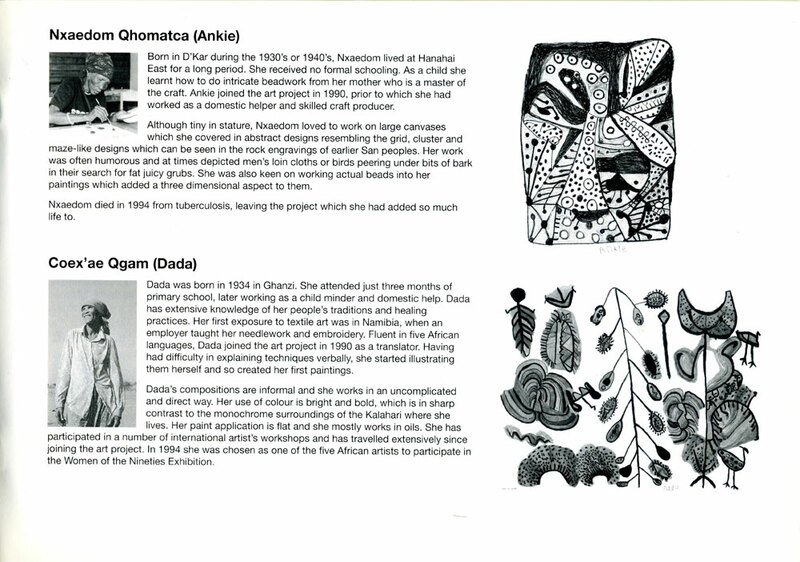 The Kuru Art Project has published three booklets about the project. 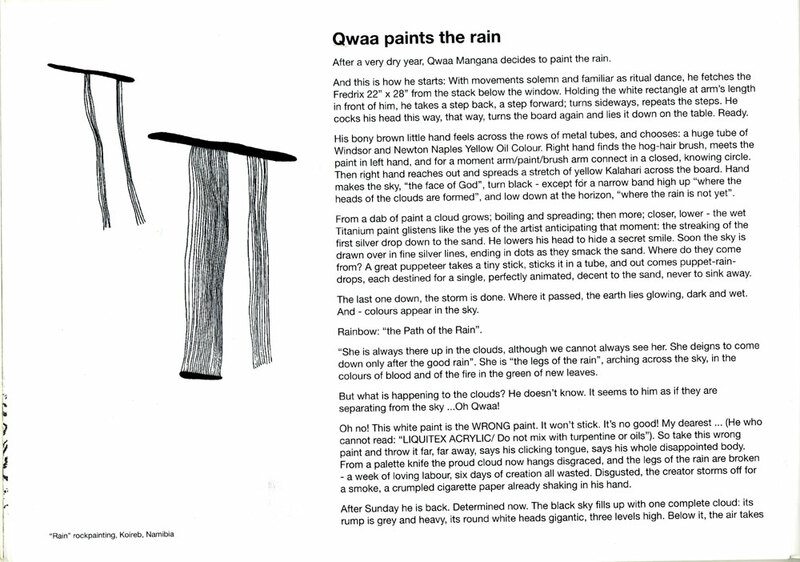 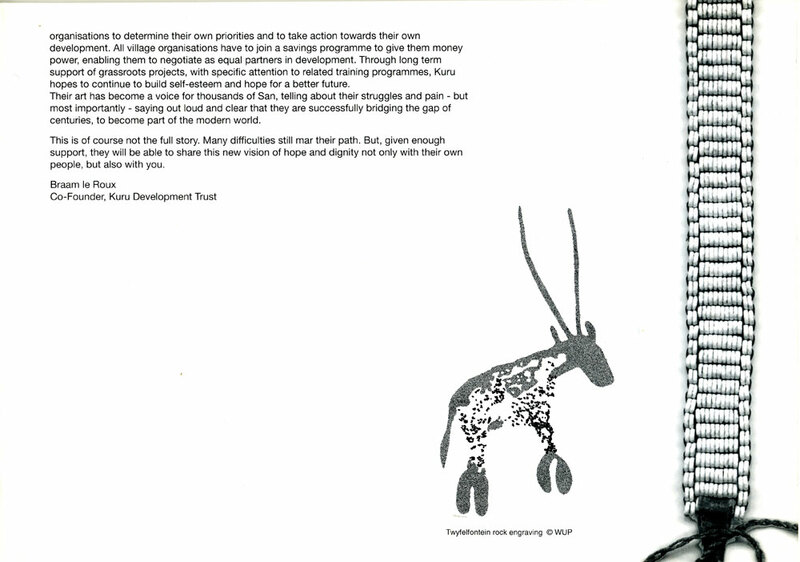 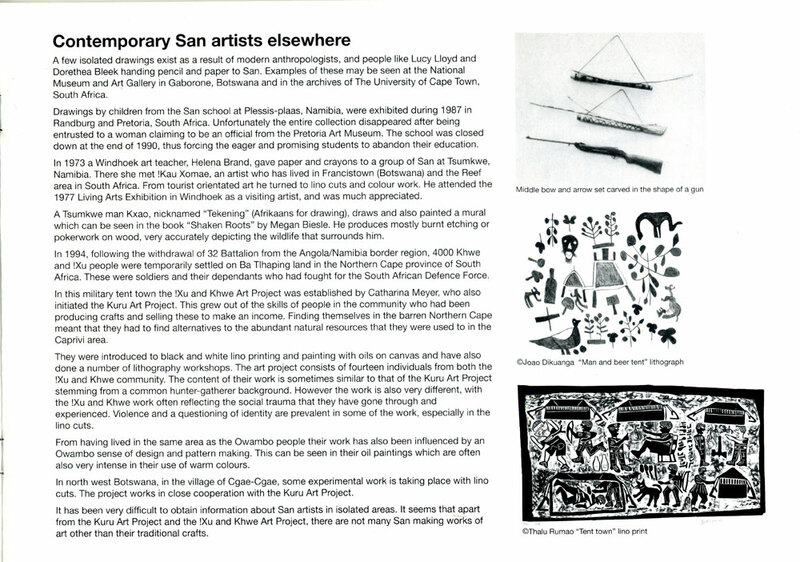 This is the second one and was put together by Catherina Meyer, Tamar Mason (who coordinated the project in 1992) and Pieter Brown (who coordinated the project from 1993). 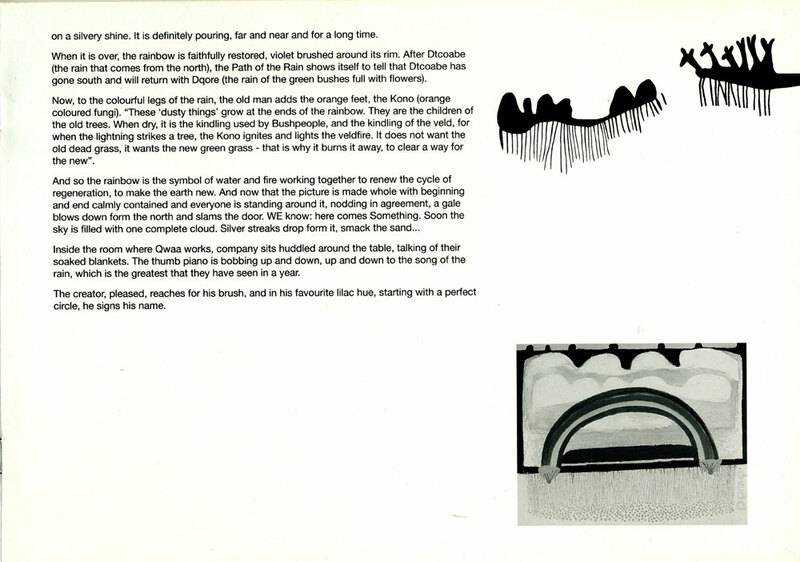 The pages have been scanned from the original booklet and are in sequence. 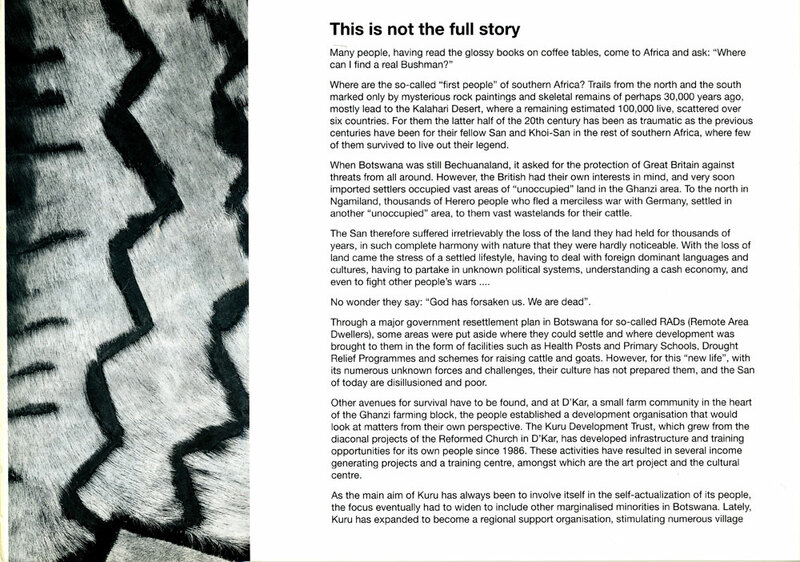 Please zoom in to read the text. 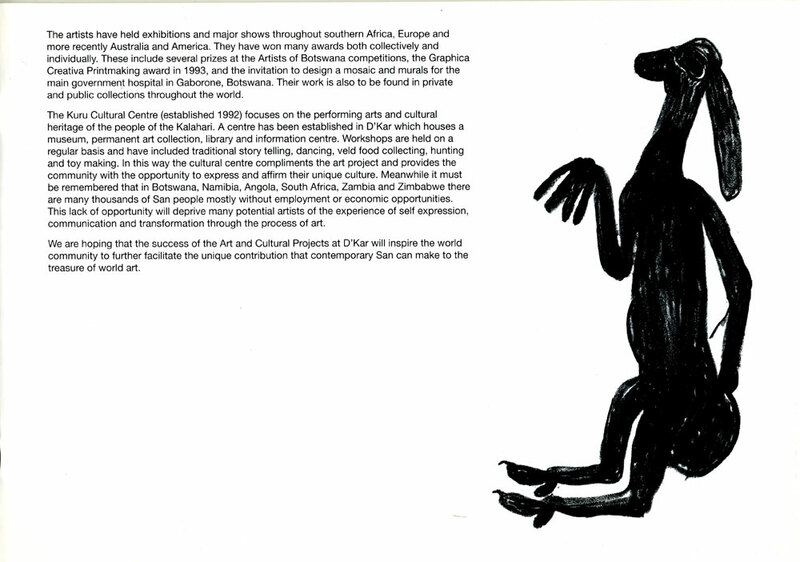 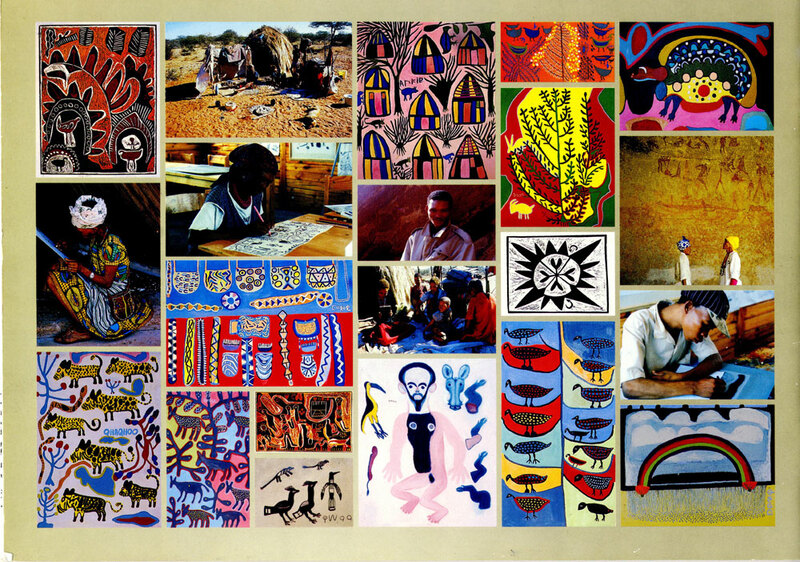 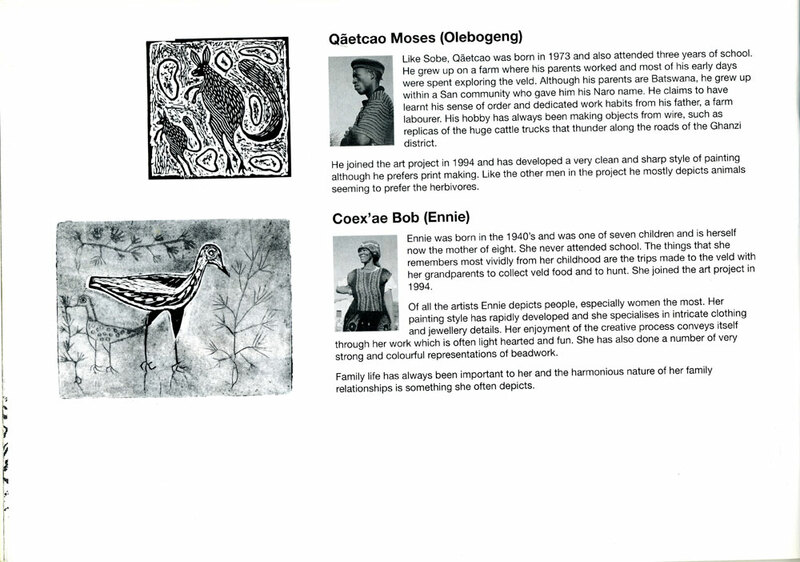 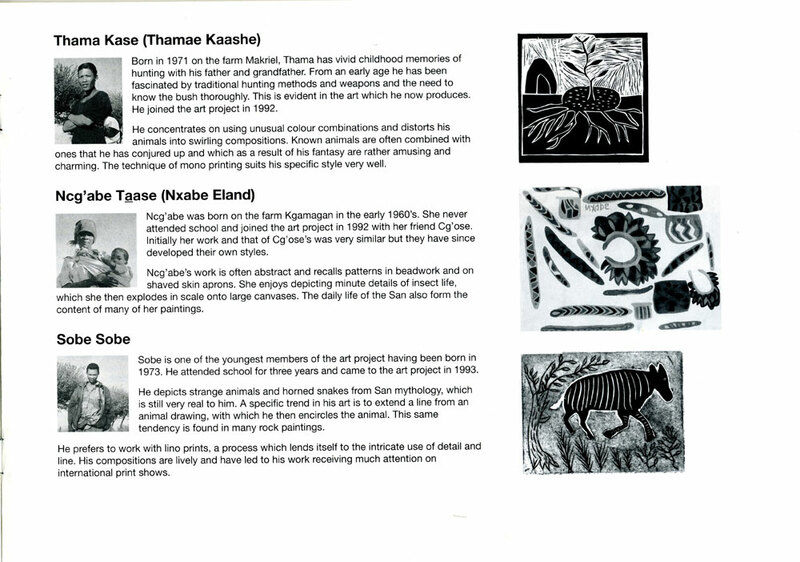 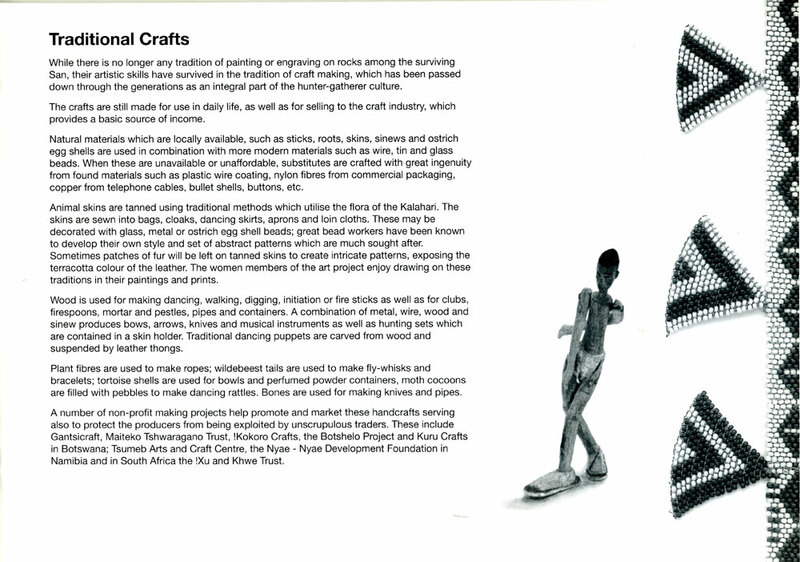 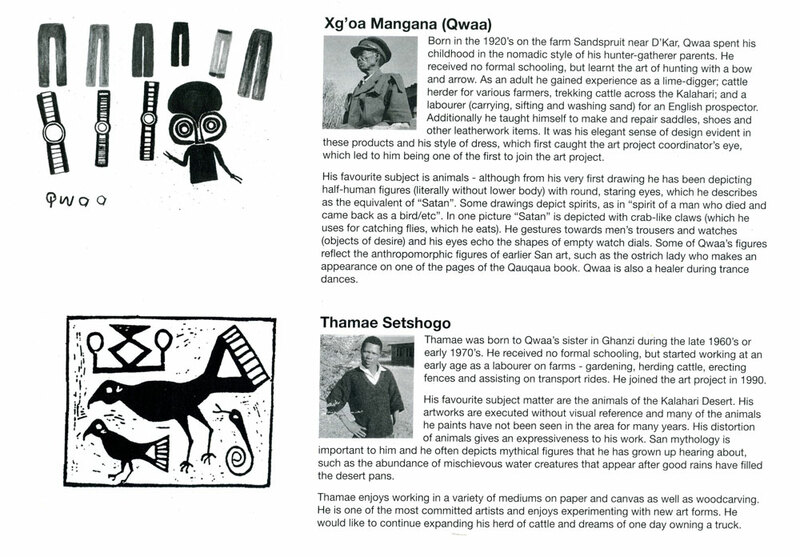 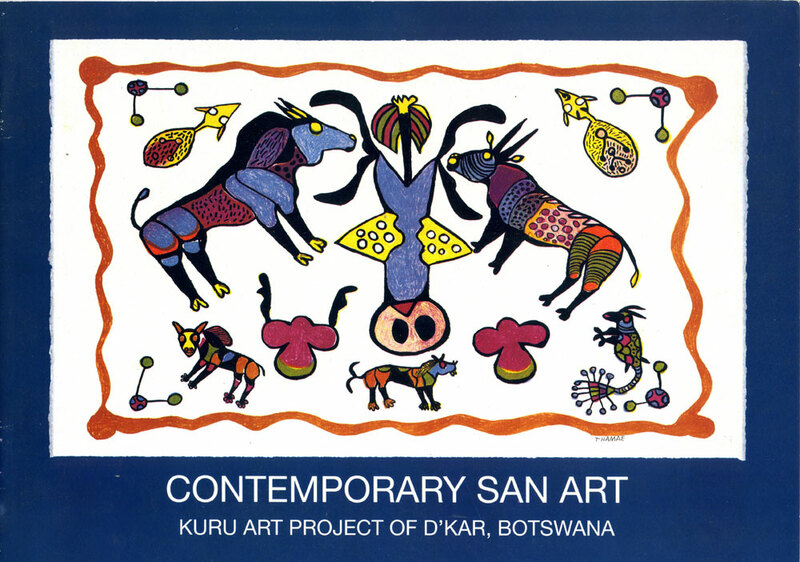 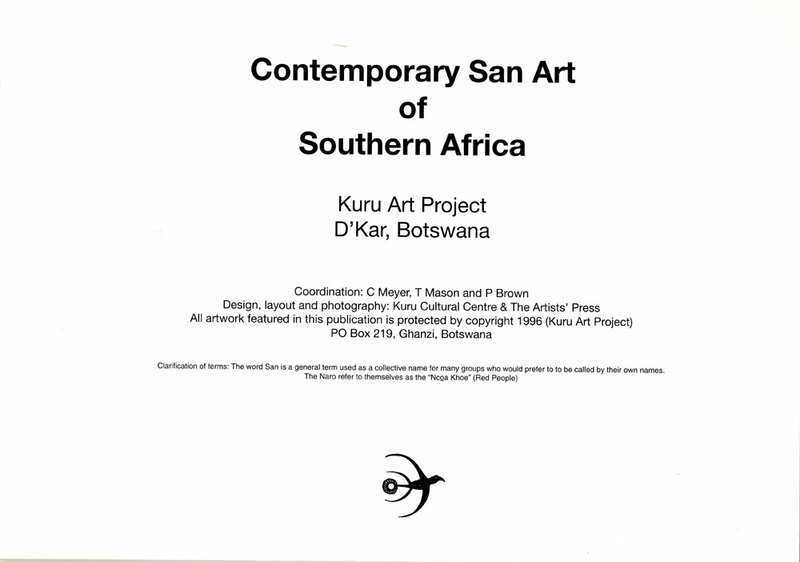 Copyright is held by The Kuru Art Project, Botswana.